Say hey to Blake! Generally they use male pronouns but they are a non binary snarly child. They've got the gender neutral name Blake, partly because of the show Blakes 7 - of which I'm a big fan! 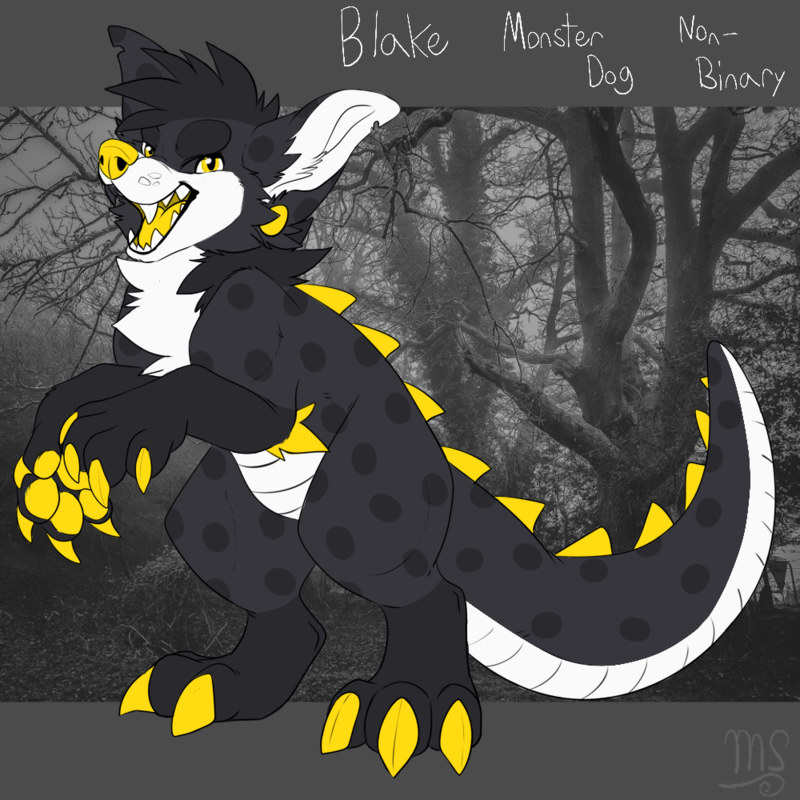 Blake has a yellow plug stretcher in both ears, big hand claws & massive feet claws, meaty paw-beans all around too! I love them, I really really do love them! Bring on spooky snarly monster adventures of this lil dino pubby!